Proud history, bright future as Congress celebrates 60 years and looks to the future of veterinary science, education and innovation. The 60th annual BSAVA Congress celebrated the world’s leading small animal veterinary conference delivered with excellence and focused firmly on the future of the profession. BSAVA President Susan Dawson heralded a ‘vibrant, diverse and ambitious’ programme of more than 450 lectures and practical sessions, which was enjoyed by more than 6,760 delegates, up from 6,683 last year. This year’s BSAVA press conference brought together a panel of experts to discuss the opportunities and challenges of integrating new technologies into veterinary practice and how to ensure that animal welfare remains the top priority, coinciding with a recent RCVS consultation on the topic of telemedicine and new technology. Dr Sally Everitt, BSAVA Head of Scientific Policy, put together a Big Issues stream to showcase a range of future-gazing topics, rounded off with a panel discussion on how the delivery of veterinary services has changed in the last 60 years, the issues faced by the profession during this time and likely changes in the future. Congress continues to be the place to unveil the latest technological innovations, as hundreds of exhibitors enjoyed thousands of face-to-face conversations with delegates in the Barclaycard Arena. The exhibition saw the launch of new companies, brands, products, services and systems, with many innovative new ways for the industry to engage with the entire small animal veterinary profession. It was also a time to recognise veterinary excellence, with the BSAVA Awards honouring the profession’s outstanding individuals who help to advance scientific knowledge, develop new techniques and constantly raise the standards of veterinary science to improve animal welfare. TV presenter and respected naturalist Chris Packham gave a heartfelt keynote address, sharing his enduring passion for wildlife and conservation, and highlighting the human-animal bond and the intrinsic link between treating the animal and treating the owner. 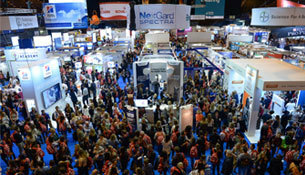 Evidence-based scientific endeavour remains the cornerstone of BSAVA’s provisions, with the BSAVA Balcony in the Barclaycard Arena proving popular for sales of around 40 manuals – including two new editions, the latest Small Animal Formulary and a collection of articles from Companion magazine from 2012-16. BSAVA’s charity PetSavers celebrated the 60th anniversary by announcing additional grant funding for four Masters Degree by Research projects and Congress delegates were invited to vote for the subject area they feel most deserving of additional research funding. Another new development was practical wet labs run at the nearby University of Birmingham Medical School. More information on next year’s increased offering will be available in the summer. Congress is also an important event in the social calendar, giving professionals the opportunity to meet old friends and new, network and let their hair down with an exciting agenda throughout the four-day event. BSAVA President Susan Dawson said Congress continues to lead the way in helping everyone working in the small animal veterinary profession to face up to the challenges of tomorrow. “It has been a privilege to serve the last year as BSAVA President, I have enjoyed many highlights and this, the 60th BSAVA Congress, is by far one of my biggest honours,” she said. 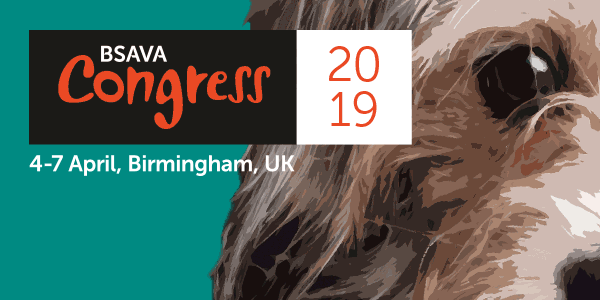 “For 60 years Congress has been a key event in our veterinary calendar and I wonder if the BSAVA founders would be surprised at the size of the event today. “What remains the same is that Congress is for the profession by the profession, and to all those working on the Congress committees and full time team we owe a huge thank you, they have excelled themselves with a vibrant, diverse and ambitious programme. Great effort has gone into ensuring that vets, veterinary nurses and practice managers at all stages of the profession can come here to be challenged and inspired; reflecting BSAVA’s commitment to provide support throughout every career.